Rustic grey and brown, woven willow wicker basket planter. Delightful feature for displaying plants and flowers in the garden or home. Rustic grey with natural brown wicker upon tripod style legs. Charming shabby chic look that can be used indoors and outdoors. 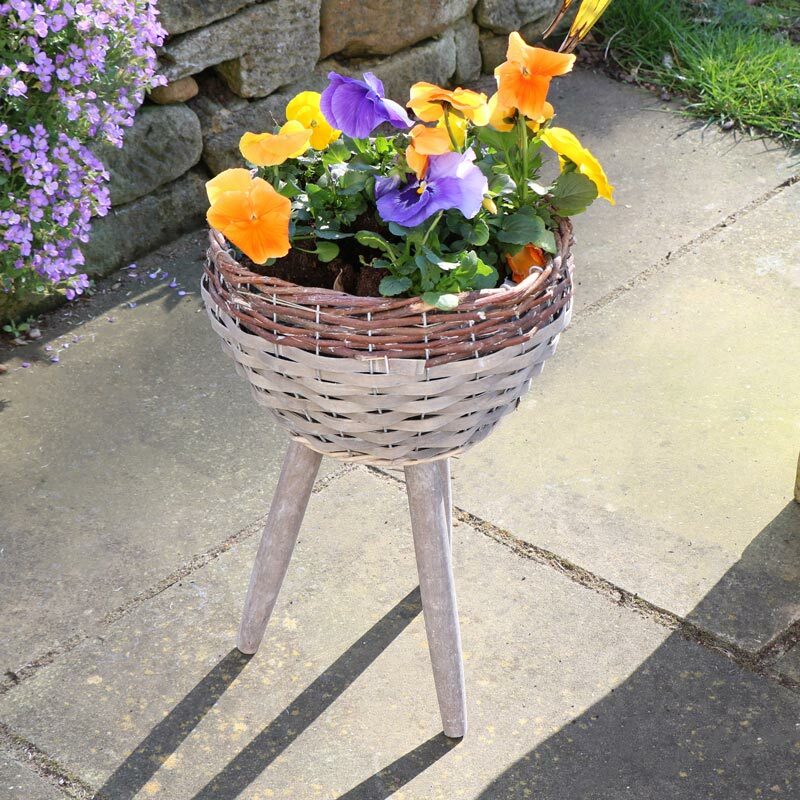 Decorate your garden in the prettiest way this summer with our fantastic selection of garden pots, planters and accessories. 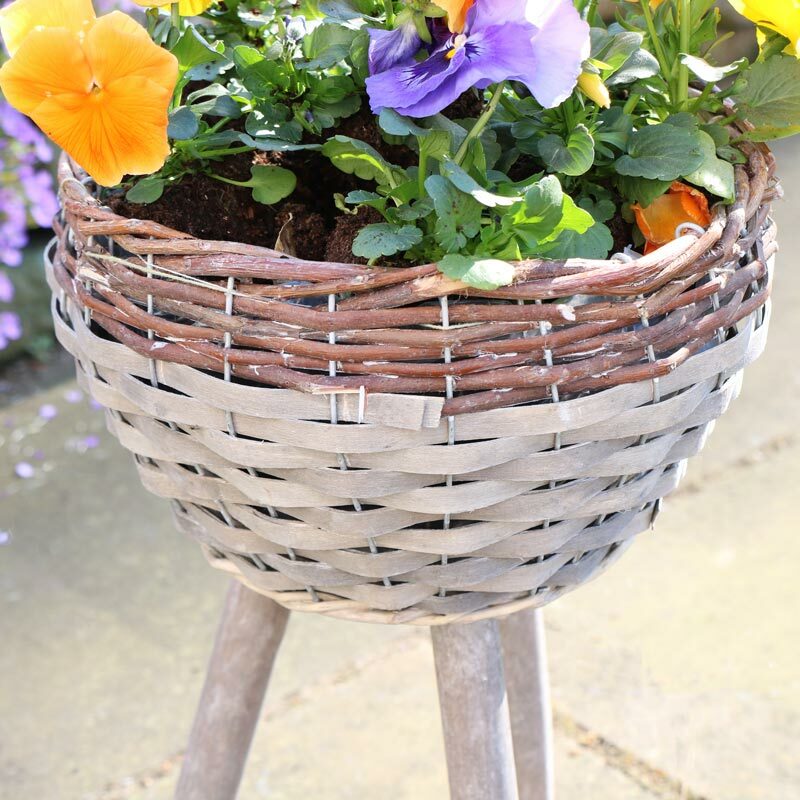 Rustic grey and brown, woven willow wicker basket planter. Delightful feature for displaying plants and flowers in the garden or home. Rustic grey with natural brown wicker upon tripod style legs. Charming shabby chic look that can be used indoors and outdoors. Decorate your garden in the prettiest way this summer with our fantastic selection of garden pots, planters and accessories. Willow wicker basket in a woven design, finished in a rustic grey and brown. Mindor assembly with the legs to attach to the base of the pot. (Please be aware that if using outdoors that this will weather over time). We have a fantastic selection of gifts and home accessories for you to choose from with something for everyone and every occasion.